[Made Of Fail] Episode 09: Do You Believe In the Boogeyman? OR: What’s Your Favorite Scary Movie? 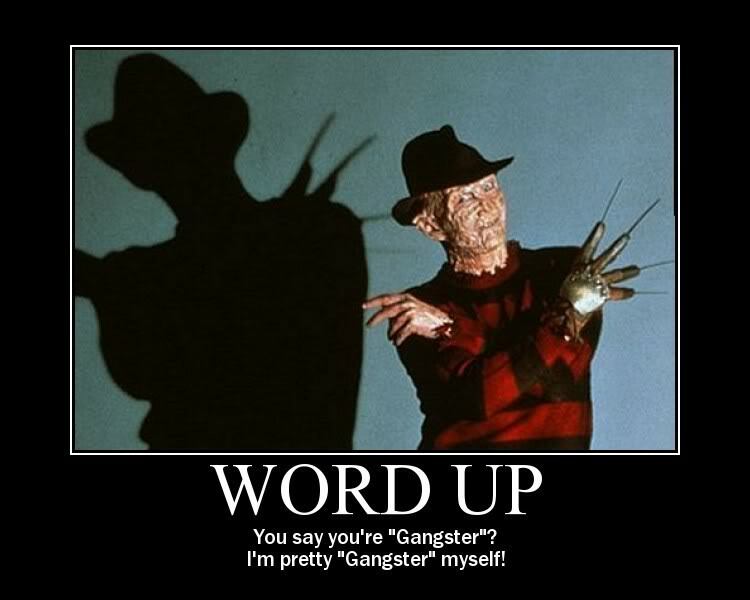 Love Nightmare On Elm Street as much as we do? Visit http://nightmareonelmstreetfilms.com/, the best source on the web for Freddy fans! Behind the Mask: The Rise Of Leslie Vernon available on DVD! As is Hatchet! Robert Englund wishes Traci well! Summer of 2007 at Chicago’s Flashback Weekend. See Robert Englund in the 1989 film adaptation of The Phantom Of the Opera! Parents, buckle up, because it’s going to be a long, long ride through Slutoween ’08.